Hemp is the original super food. Dating back around 10,000 years and legally available in Australia since November 12, 2017, hemp food products are the most nutritionally complete food. Hemp is vegan, gluten free and loaded with all of the Omegas plus up to 52% protein to boost your start to the day or as a great additive to any food throughout the day. 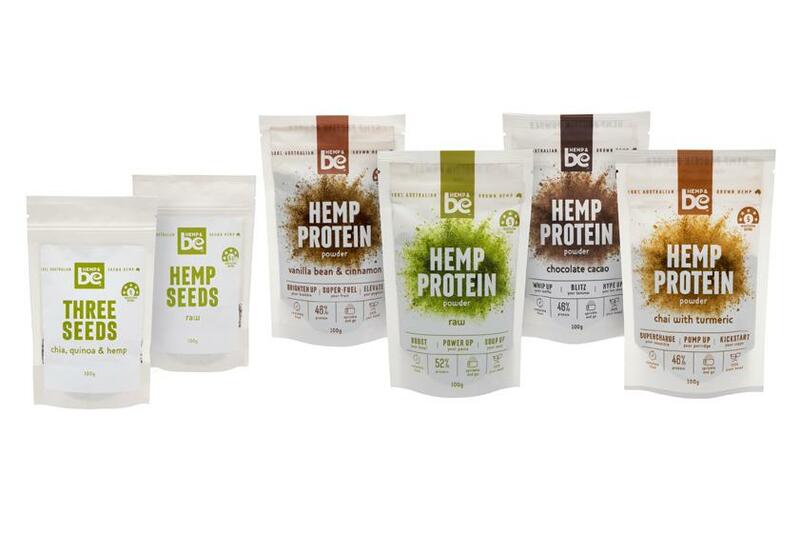 We introduced a new brand - HEMP & be - to launch our range of hemp products. We use only 100% Australian grown and processed Hemp - the purest and best. The Protein Powders come in 4 flavours exclusive to HEMP & be - Raw, Vanilla Bean and Cinnamon, Chocolate Cacao and Chai with Turmeric - and all have a 5 star Health Star Rating. Use them as a base for protein shake or smoothie. And, if you are not sure which protein powder variety is best for you why not try our "Hempters" mixed pack. If you prefer the raw goodness of the Hemp Seeds (sometimes called hemp hearts) then we have two options for you - Raw Hemp Seeds and the delicious and versatile Three Seeds mix of Hemp, Chia and Quinoa. Add any of them to boost your cereal (Monster Health Food Co cereals of course!) or use the protein powders with your favourite milk for a delicious smoothie or protein shake. Sprinkle the seeds on breakfast cereals, sandwiches, salads or basically anything for a nutritional boost. Combine them both for a great bar or protein ball - use one the recipes on our Recipes page as a base. The protein powders and seeds all come in handy 100g, zipper seal packs for freshness and portability. Whether it's work or play take HEMP & be ...living well ! !